SOUTHEAST Queenslanders have been preparing for a deluge but will be lucky to get any more than a sprinkle of rain this weekend. 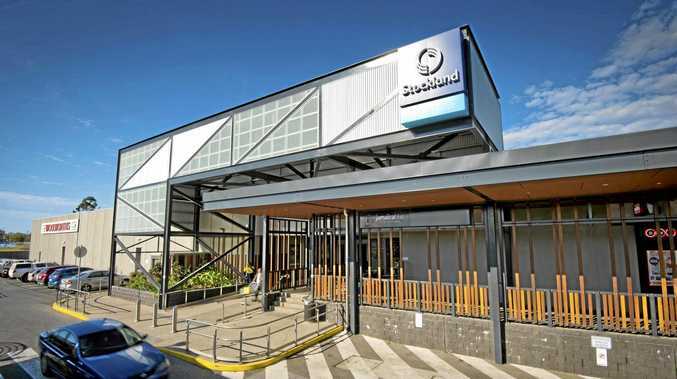 On Wednesday, Bureau of Meteorology forecasters told The Courier Mail Cyclone Oma would bring extreme rainfalls of 300-500mm across the southeast today and tomorrow. But as the weekend approached, weather experts confirmed the early forecast was a dud, and no rain was expected in many southeast regions. The early warnings prompted many to begin wild weather preparations, sports matches were postponed or called off and major events were cancelled or rescheduled. Nitro Circus, scheduled for Suncorp Stadium on Saturday night, brought its show forward to last night, based on the predictions. 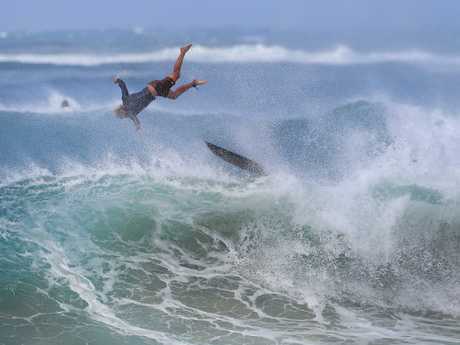 Nitro Circus president Andy Edwards said the uncertainty surrounding Cyclone Oma meant it was best to push the show forward. "Given the severity of the weather forecast as the cyclone approaches this weekend, moving the show forward was the only option and is the best possible outcome for Brisbane Nitro fans," Mr Edwards said. P&O cruise ship Pacific Dawn was delayed, and reportedly took a different course. Some customers flying with Tigerair had their flights pre-emptively cancelled out of Brisbane. 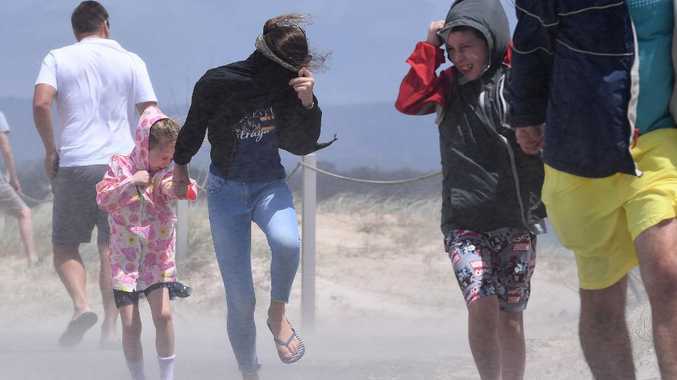 BOM forecaster Michelle Derry last night said the outlook had changed because on Wednesday it was expected that Cyclone Oma would cross the coast, but now it was predicted to stay offshore. "There are a number of influences that change a cyclone. Levels in the upper system can change and as the cyclone moves, the intensity of it can change, which changes its direction," she said. After days of bearing down on the Queensland coast, the system has veered southeast, taking it closer to Lord Howe Island in the South Pacific. Despite the change in direction monster seas and gale-force winds will still batter the coastline. Surf Life Saving Queensland lifesaving services co-ordinator Nathan Fife said the state's army of volunteer lifesavers would still be on high alert. 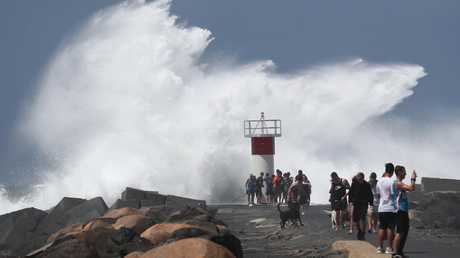 Wind gusts of almost 100km/h will continue for the next day or two while giant waves - some measuring up to 13m - are expected to smash the coast.